Meet Miss RSA 2012 NEW SHOTS!! 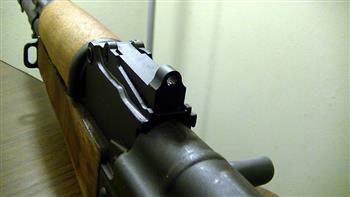 This trigger has been modified to fit most AK's without modifications. The trigger has been widen, opened up in the rear to clear the trigger guard rivets. The adjustment screws have been moved slightly but, are basically in the same location. Some AK's may need the receiver window altered to allow the trigger to fit through the receiver hole so, it will move freely in the receiver (we have found the Maadi's need this modification more then any other AK's out there but, it is possible for there to be others). Please follow the sequence in the enclosed instructions. The ONLY 100% milled AK trigger group made in the USA. Made the right way, from solid steel bar stock. Before, the American shooter had to settle for cast or MIM'd copies of the original parts, not anymore! RSA offers the first fully adjustable Kalashnikov fire control system. 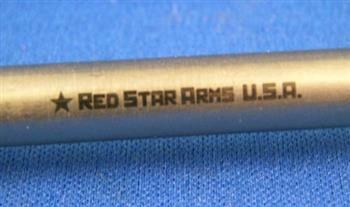 New product by Red Star Arms. U.S. made gas piston for the AK-47 and MAK90 that will keep your rifle in compliance with section 922 (r). 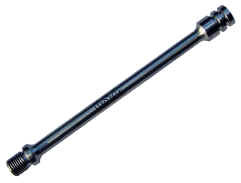 This gas piston is 100% CNC machined, and made from heat treated stainless steel with several improvements. The RSA piston has more cleaning grooves, increased radius of the shaft diameter for reduced flexing, and improved piston cup for a better gas seal and improved reliability. Here is what Mr. Curtis says. To use these flats you will need to have a 5mm and 7mm reamer. This will help solve two of the problems with the flats currently on the market. In all there are at least five problems that will be fixed with these flats compared to any offered before.The rails that will come with the flats are pictured below. They have mag stabilizers on both rails to keep the mag from tilting and causing feed problems. This is what Mr. Curtis says. The base of this die set is made from a solid piece of steel that starts off at 17lbs and is machined to 14.5lbs. There is a radius at the entrance of the die which takes less pressure to make the bend. In my testing I have bent several flats by just putting the ram in the middle of the punch and pressing the flat straight in without moving the ram down the length of the punch. Tired of trying to find two men and a boy to help remove your AK rear sight. So were we. 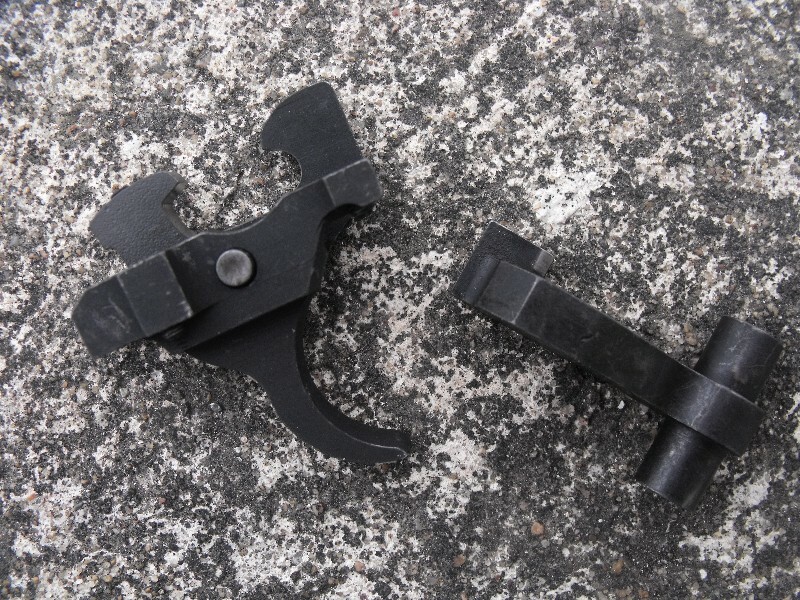 Thanks to Bob King AK shooter and inventor we were able to team up and produce a tool that will quickly and simple help install or remove a sight. Tool grade steel with a nickel finish. A great item to have in the tool box. The 5.45 AK74 flats are the same as my 7.62 flats except for the magwell opening is smaller to fit the 5.45 magazines. To use these flats you will need to have a 5mm and 7mm reamer. This will help solve two of the problems with the flats currently on the market. In all there are at least five problems that will be fixed with these flats compared to any offered before. The rails that will come with the flats have mag stabilizers on both rails to keep the mag from tilting and causing feed problems. 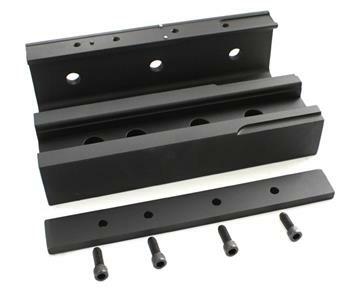 The picture of the rails are from the actual samples and are made from 4130 steel. Yes, I had samples made and tested them before shipping any flats. I bet no other company that sells flats ever went to that much trouble. These were designed from an actual receiver from Romania then during the later runs of rails I switched to the longer length rail like the Bulgarians used. Perfect Mil-Spec match for your AK build. Fits our flats like a glove. 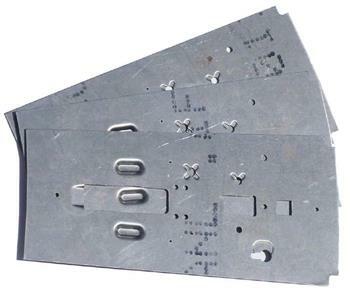 Precision stamped from 1mm 1050 steel, and heat treated to 50C Rockwell, these are one-piece units and are 100% US made. These are Extended and Notched. A great addition to your AK-47's. 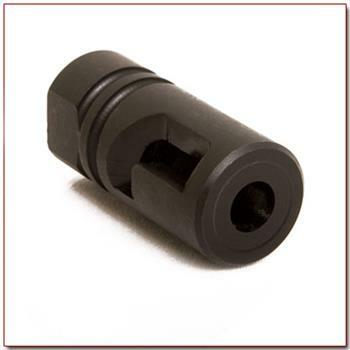 AK Concepts has developed a recoil compensator that not only lessens the recoil of your AK47, but does so without a significant increase in blast noise directed toward the shooter or individuals next to the shooter. These parts are 100% American Made. CNC Machined Stainless Steel Gap Piston. USA Made. 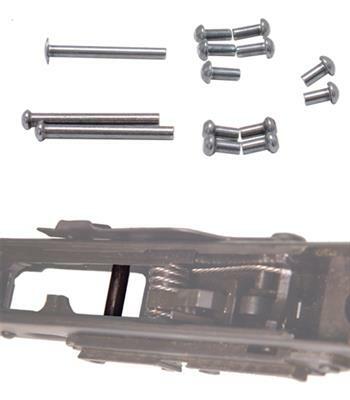 Attaching to the rear sight position on the front trunion and securing to the rear stock trunion this 3 piece sight rail allows the mounting of various tactical equipment to the rugged reliable AK family of weapons. With the sight rail attaching trunion to trunion it not only provides a stable sight base, but it also decreases the AK rifles from flexing helping to increase the accuracy of every variant it is mounted to. 1050 High Carbon Steel Flats. These are made with the magwell pre-cut for 7.62 with no choice for 5.45 magwell openings. The dimensions and hole placing are exactly like my other flats, but were made to be more affordable. New Red Star Arms Combat Sight for AKM type rifles. � Red Star Arms Inc.. All rights reserved.